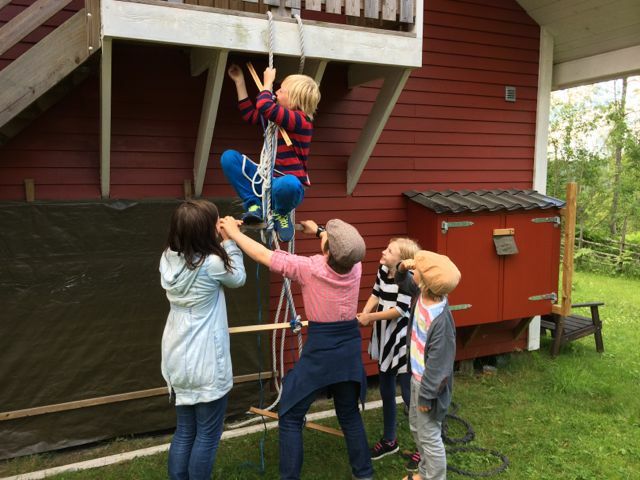 Cousins’ camp – mastering the art of ”cliff hanger” climbing! Indeed, and yet, what a fantastic summer we’ve had – weather inclusive! The Cousins’ Camp with five of our wonderful grandchildren in the first week of July. A trip to the North, which started with a brief trip to the very south (by air) and attending an old friend’s 60th birthday party in Malmö. Also an opportunity to catch up with many friends from old days. Motoring from Arlanda – Stockholm northward and meeting with friends and relatives. 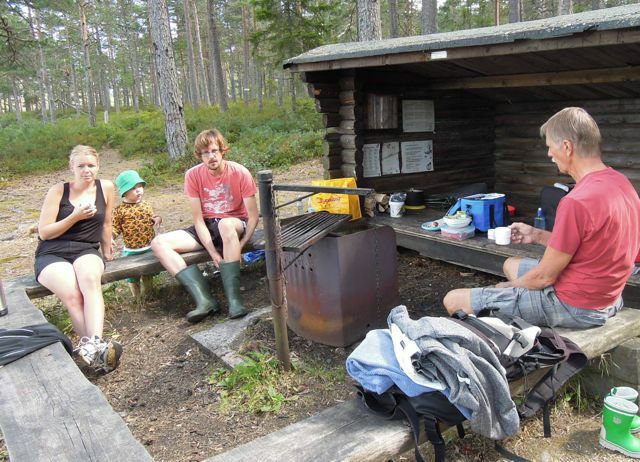 Arriving in Umeå, some 720 kms to the north, at Emil, Stina’s and their lovely girls Molly and Alice. Stina’s parents who are missionaries to Tanzania also came to see us there. The visit to Umeå also gave me some more insight into the eminent medical care at the University Hospital. I woke up in the middle of one night with some strange chest pains. Had to be rushed by ambulance to the hospital. An extensive EKG, X-ray and all kinds of monitoring and check-up. But no sight of any failing heart or problems with my lungs. After two days, the pain disappeared and I was discharged! 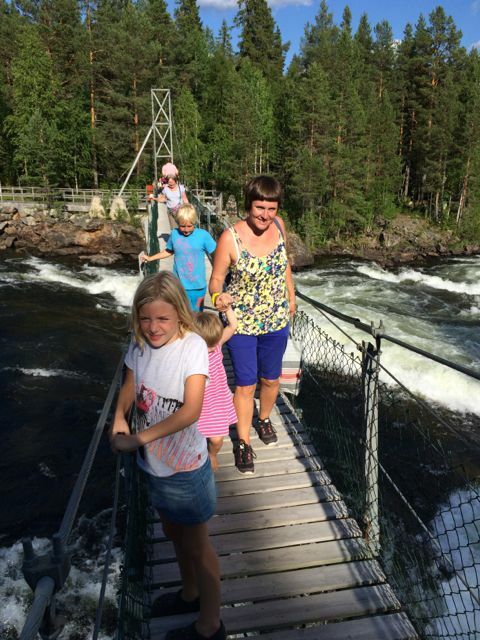 What about touring along the Vindlälven, one of Sweden’s few untouched rivers with swirling rapids and cataracts together with Jonas, Emma and children and Emma’s parents who live not too far in the neighborhood of this paradise. We spent hours in the water which was at least around 25°! 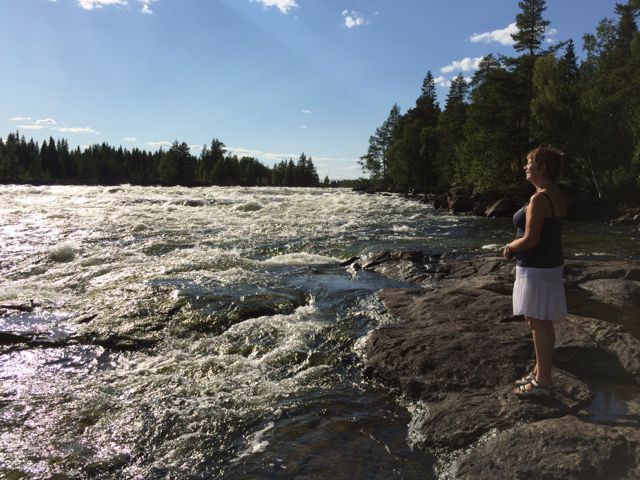 Some few days later at another impressive water in Sweden, the Lake of Dellen, said to have been created through the impact of a big old meteor. Jonathan and Magdalena were visiting her parents and we joined them by this lake where I also tried to revive my skills of windsurfing for the first time in 30 years. Not too successful I must admit…! Cheering cousins meeting in Strängnäs. Nisse and Majken’s (Birgitta’s parents) children and great grandchildren looking on behind the camera! 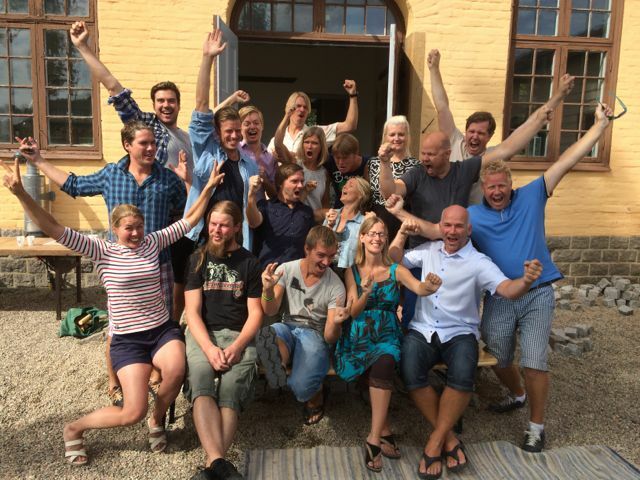 The family reunion in August in Strängnäs with Birgitta’s siblings (3), and almost all their offsprings and families was an event of a lifetime! Our Anton and Natalie helped arrange this fantastic day! In all 59 out of 64 people were gathered. Majken and Nisse (Birgitta’s parents) must have had great reason to rejoice from their horizon beyond this world! NU-choir – our choir from days gone by – now singing together again – at least for once! 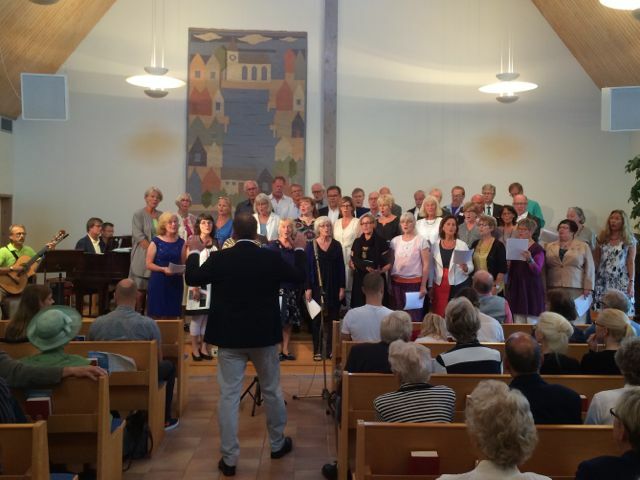 Another height of the summer was our reunion with our old choir – the NU-Choir which was active for more than 30 years and created by one of Sweden’s famous Christian song writers and singers, Göte Strandsjö. From greying crowns and wrinkly lips emanated a wonderful choral sound as in the good old days. Even the first hymn, Praise be to the Lord, almost choked me and it was difficult to sing as I was so moved to hear the church hall in our Sunday service being filled with these unfailing voices! 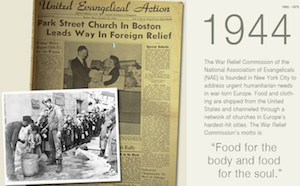 World Relief started as a initiative amongst churches in the United States in 1944 to heed the call of a war-torn Europe by collecting relief food, clothes and other items and sending it under the motto: ”Food for the body and food for the soul”. World Relief is working in close to 20 countries today. 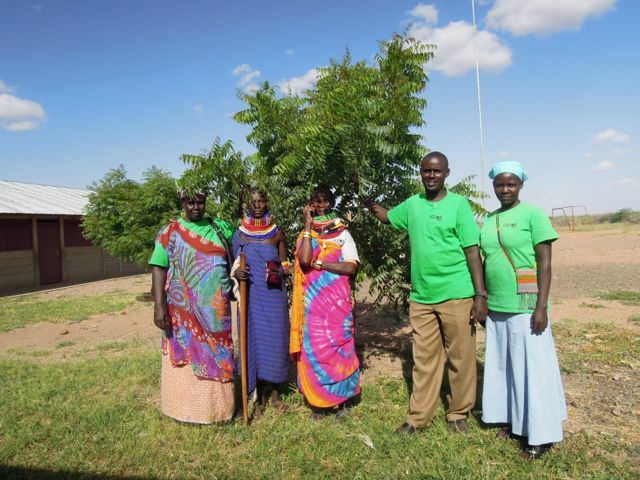 In Kenya they run an impacting work in the areas of agriculture, health, micro finance and training closely linked to the Christian church. One of their areas is close to Lake Turkana a good days drive from Loki. We were connected to WR through some friends visiting us earlier this year. 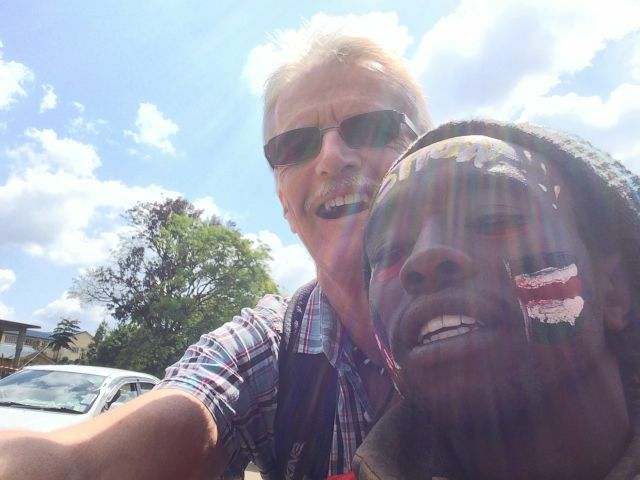 As we met with the leadership team in Nairobi in June, just before our return to Sweden, and we had a chance to share about the ministry in Loki, they said spontaneously: We want to get involved with you in Loki, wherever we can! Let’s visit and see for our selves! Said and done. In August we travelled to Loki, David Nordlander, representative of MAF-Sweden, myself and 5 of the WR leadership team including their Country Director Jean-Paul Ndgijimana. The week was very intense with lots of meetings and showing around and hearing from the local community about some of the urgent needs. 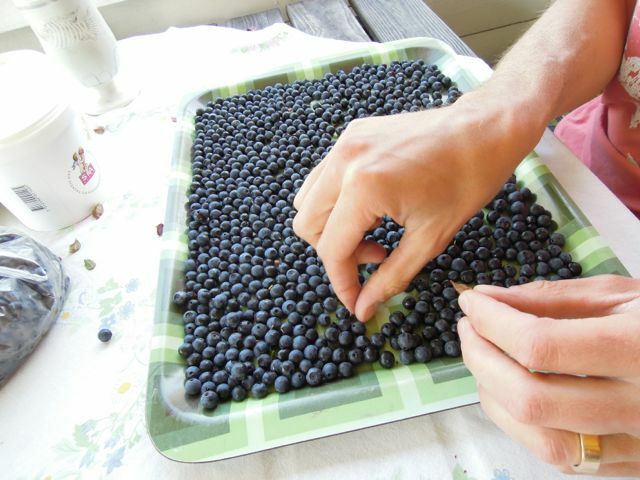 Their findings is now basis for further development of a strategy and project proposals for Loki. 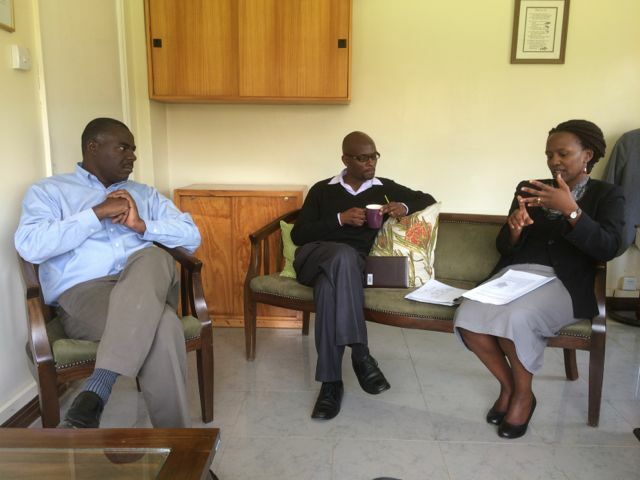 After I landed in Nairobi on 2 October, we’ve had several meetings with WR and together we have targeted some key areas for their involvement in Loki such as agricultural projects, health, development of business opportunities and strengthening of local partners. 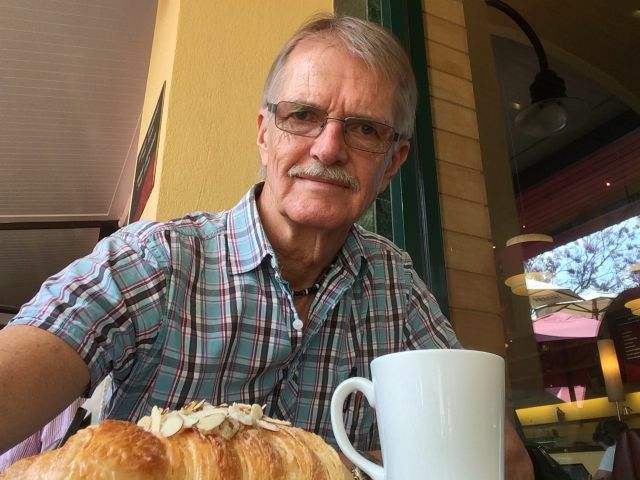 Birgitta and I sense that he Lord has led us in contact with a very solid and experienced organisation, which apart from their technical expertise in many areas also work hard at mobilizing churches and helping them to get involved in the society outside their immediate comfort zone. We’re very excited and wondering where all this will lead us…. But one thing is for sure, we’re in desperate need of help in order to meet many of the needs and challenges which are pressing here in Loki! Thanks for praying with us over this! 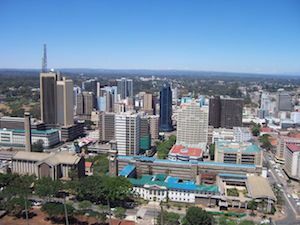 When we moved to Nairobi as a family in 1989, the city had about 1,3 million people. Today it has soared to more than 3,5 million and the city traffic is growing exponentially to about half a million vehicles with intense pollution and crazy traffic jams as a result. 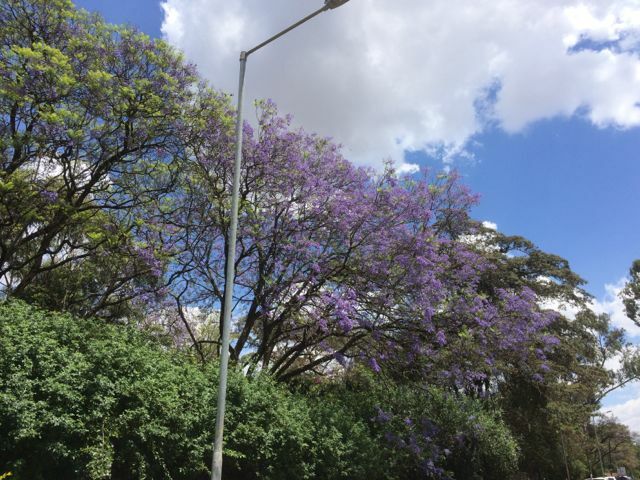 Whoever forged the expression ”Nairobi – City in the Sun”, no doubt saw the sun shining from a beautiful clear sky. Nowadays, it can take many hours before the sun finally penetrates through the smoggy morning clouds! 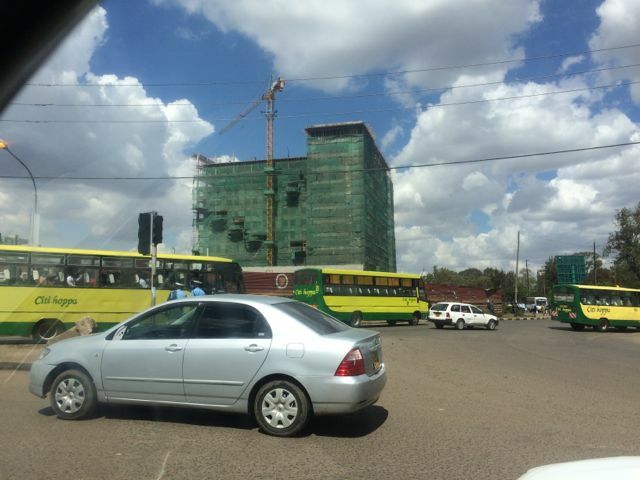 But Nairobi, where are you heading…? New high rise buildings are popping up like mushrooms all the time and the rush hour traffic forces people to spend hours trying to get to and from their work places. But what is done to match this growth with most needed infrastructure such as roads, water and electricity supplies? I would call it a very meagre improvement so far…! Looking around I can’t but ask: ”Nairobi – where are you heading”?? The other day I spent a good hour to get from Wilson Airport and the 5,7 kms to my hair dresser at Prestige Plaza (the journey should take you 11 minutes according to Google Maps). An SMS to Ljuba, our Russian hair dresser about being late and she answers: No problem! Good to have the hair adapted to another 3 months in Loki, especially since I don’t have my own private hair dresser around, Birgitta! 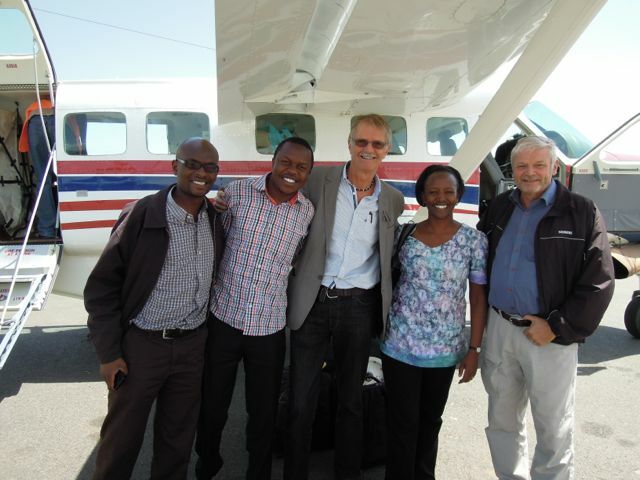 Thankfully MAF is still routing it’s twice weekly shuttles into South Sudan via Loki and the other day I flew up in one of MAF:s newest Cessna Caravans with Jane Wambui, Kenyan and also MAF’s Chief Pilot in MAF-Kenya, at the controls. 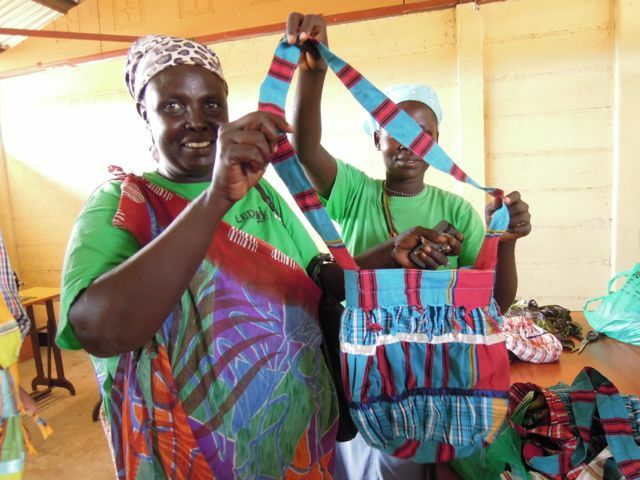 It’s time to catch up with a number of things and continue projects like putting up solar panels at the school, equip the primary school kitchen, develop the manufacturing of our school desks, latrines etc. etc. I’m blessed to have a couple of volunteers joining me also for this period, Gunnar Jonsson, retired physiotherapist who was out last year being one of them. The Scandinavian Doctors Bank has also started with their relay of medical personnel in support of the local clinic and medical work, which is another blessing for the people here in Loki. Just someone missing right now: BIRGITTA! And I know it’s mutual. She is back to her previous job as a teacher at the Hannaschool in Örebro finishing up her final year before retirement. 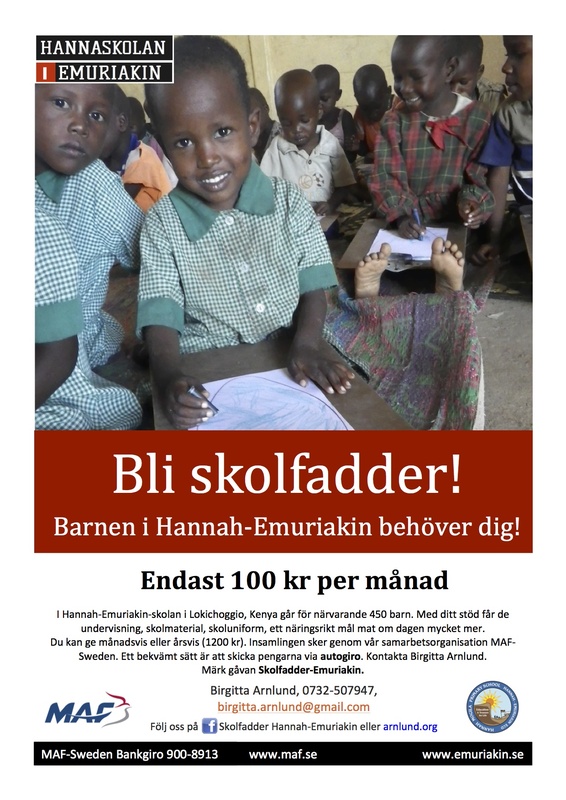 And with the fund-raising group called ”Emuriakin-group” in Örebro and other friends in Sweden she will also be busy trying to recruit new sponsors for the school children at the Hannah-Emuriakin School in Loki. Hur du kan bli Skolfadder för dessa härliga barn! Your 10£ or 15$ per month per child will make a difference. 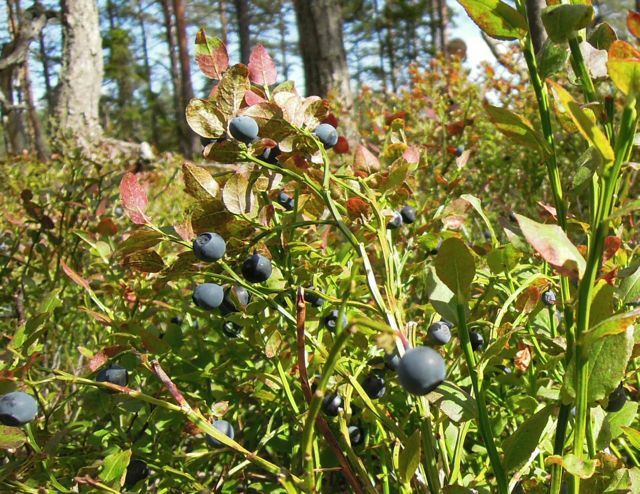 If you think this call is appealing to you there are ways to get involved, even from outside of Sweden. Some of the LEDO members. This is the tree that the Swedish Ambassador planted at the inauguration last year – look how it’s grown! 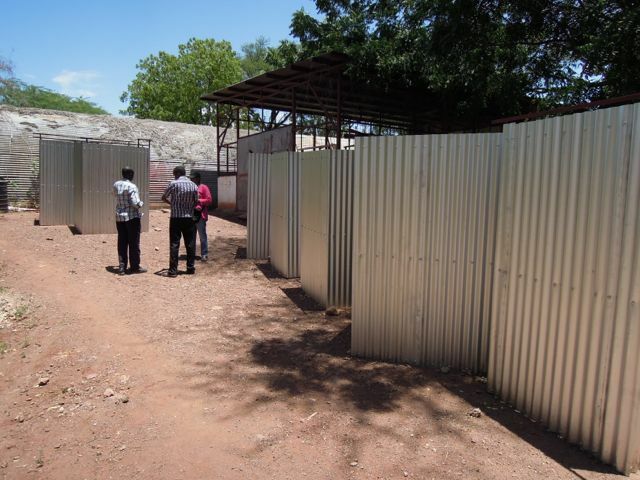 25 new latrines waiting to be mounted at various places around in the villages. A very viable project and we need more! 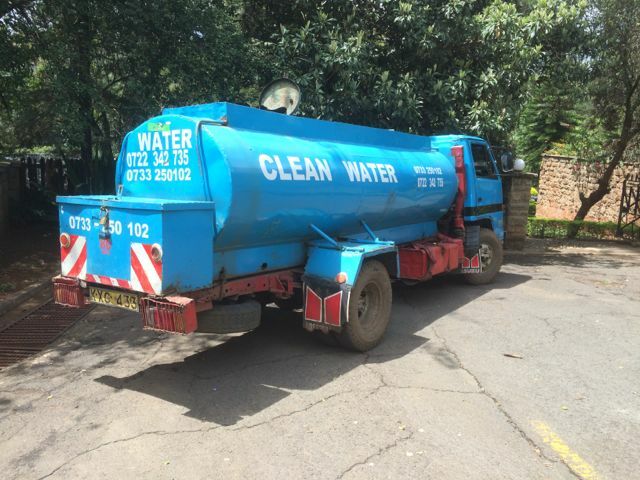 Water distribution through the town grid is non-sufficient – Tankers like this one criss-crosses the town in order to fill up empty tanks. 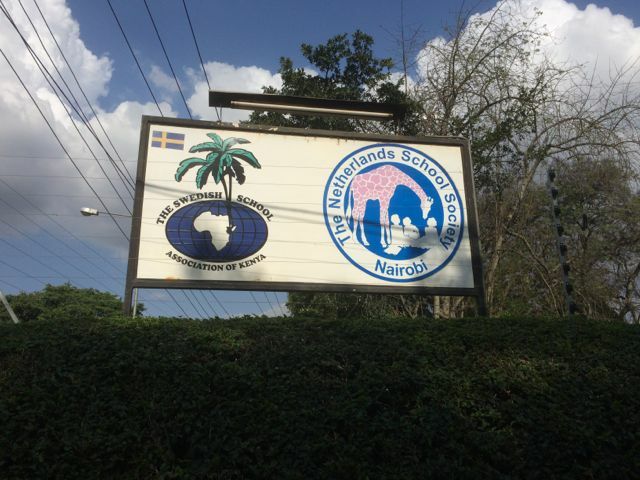 Swedish School in Nairobi. This logo to the left I designed some 23 years ago and it’s still the official emblem of the school! Three ladies waiting patiently for somebody to hire them for casual house work. 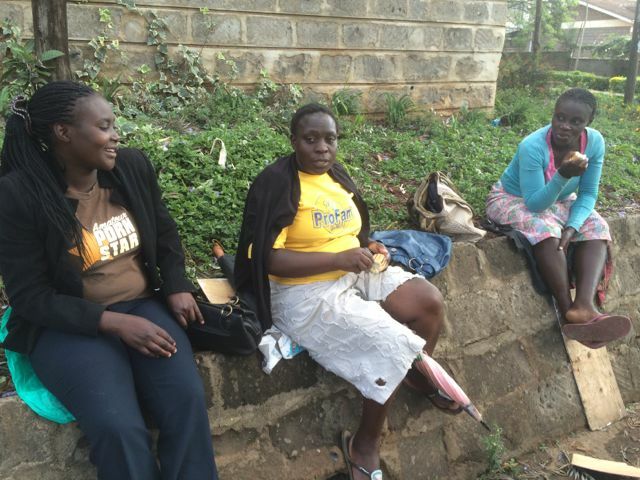 They are many at the street corners in Nairobi! 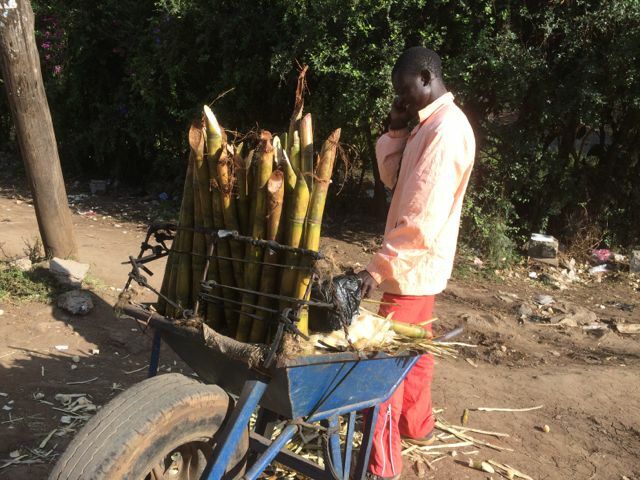 Sugar cane sales man – he has enough income to allow him to use is mobile phone. Look at the size of the wheel barrow tyre! Another one of the many street corner businesses. 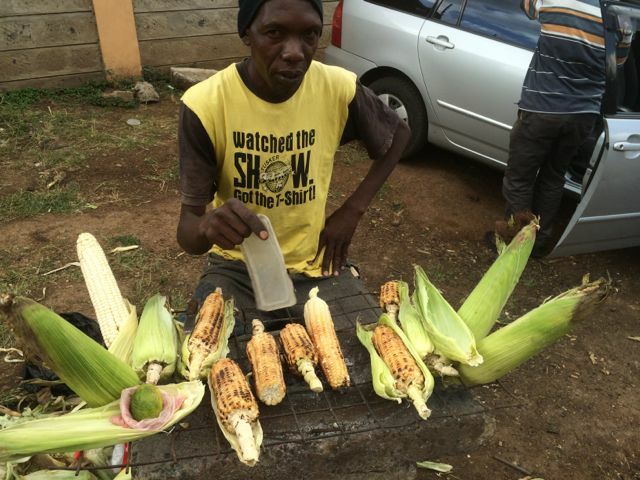 20 cents for a small, 40 cents for a full roasted maize cob! 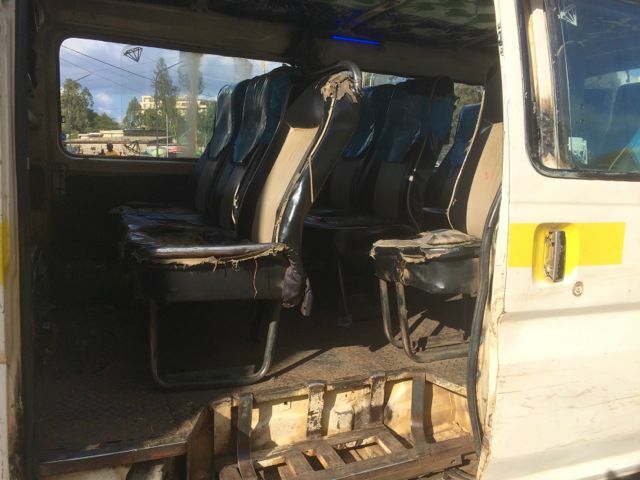 Matatu, Nairobi’s public transport. Took one the other day. How about the seats in this one! 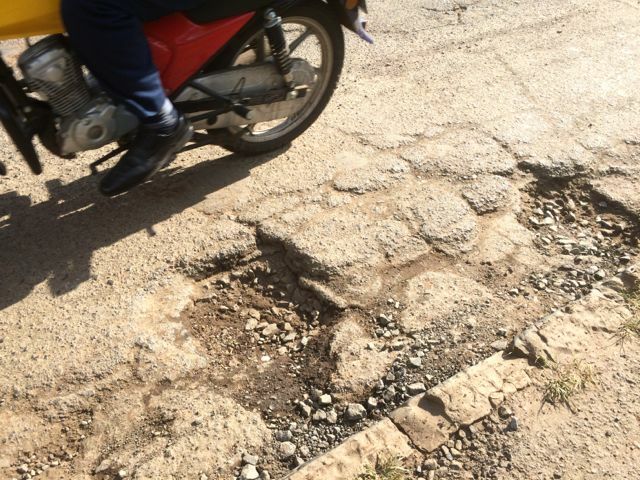 A far to common condition of the Nairobi streets. And far and few in between are the occasional repairs. 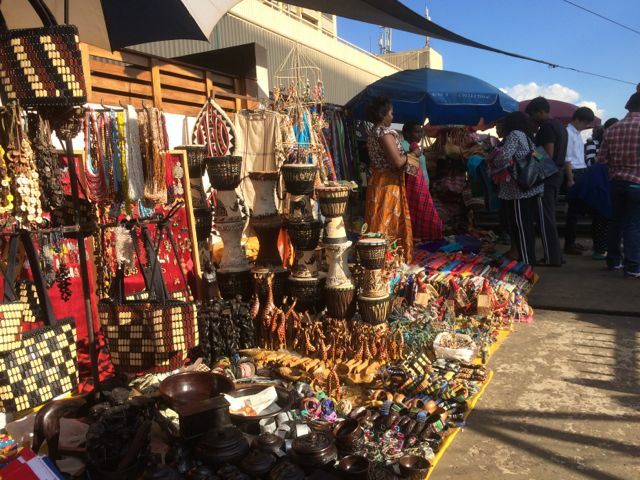 And then the Maasai Market – with its plenty of all kinds of handicrafts. 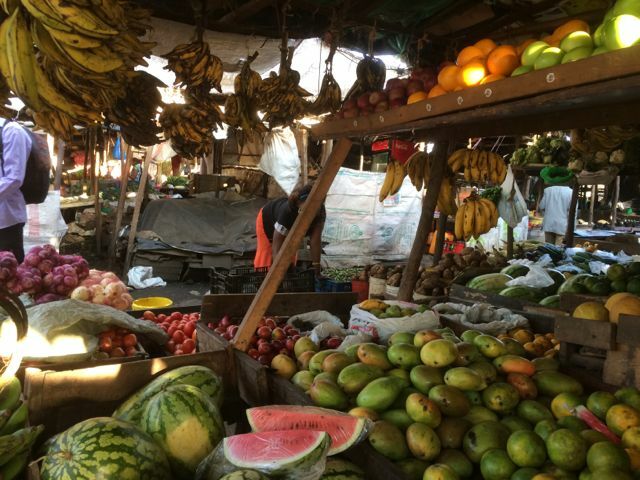 This is where you just have to stop to pick up a papaya or mango or something else of the many nice fruits – guaranteed ripened in the sun! Now is the time of the jacaranda trees blossoming. It’s just gorgeous and adds to the beauty of the City in the Sun! MISSING SOMEONE Have to try to enjoy the Java House coffee and croissant all the while! Martin looking after his pick.